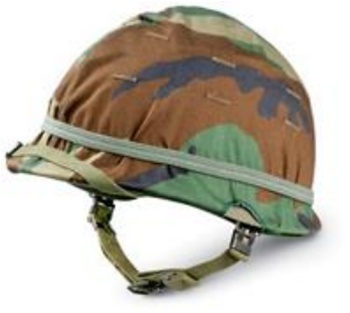 This authentic U.S. military helmet is constructed of high-grade, heavy-duty steel and comes with a liner, Woodland Camo Cover (as shown), and webbing chinstraps. *GasMasksAndFilters.com acts as a third-party distributor and cannot be held responsible for the level of protection the products available for purchase on this web site provide. The products are sold as is, and items are not returnable once shipped. We only ship to the US - no international orders are accepted.